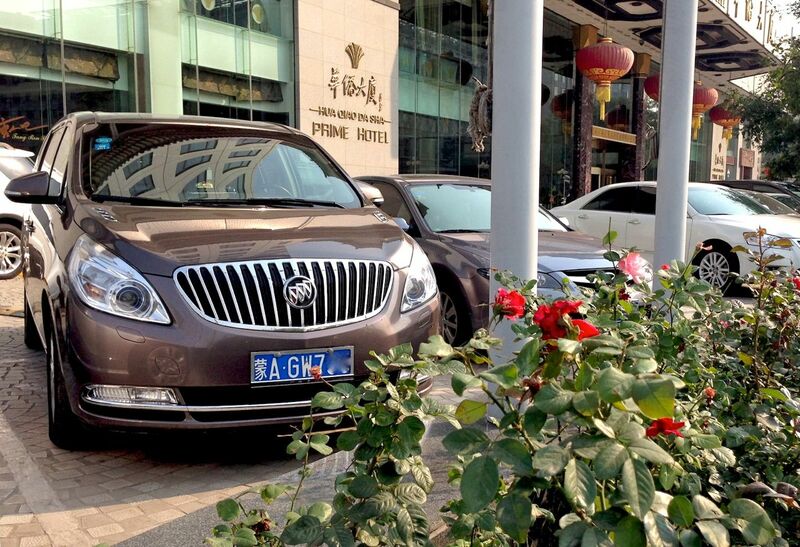 The Buick GL8 is everywhere in Beijing! 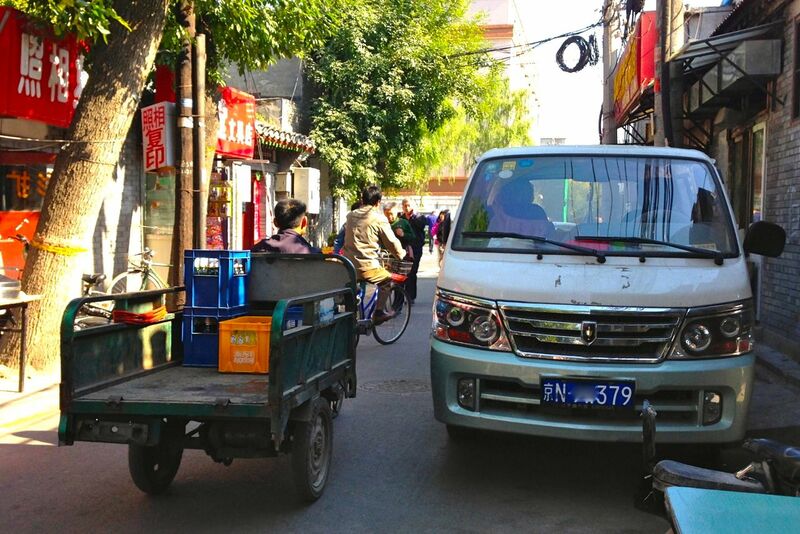 The Jinbei Granse is by far the most popular minibus in Beijing. 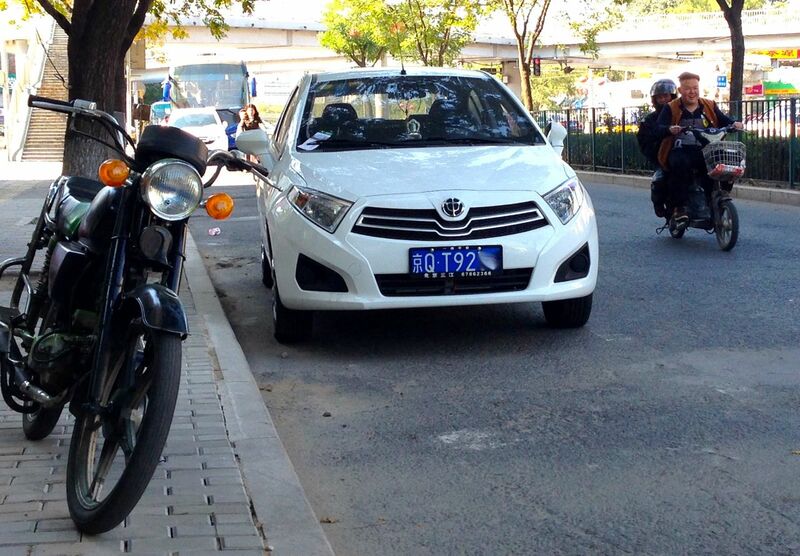 The first striking element in the Beijing car park is the frequency of Volkswagens and Audis, literally everywhere. I know I should have expected this based on national sales figures but once again it’s something else to see it with your own eyes. Even though China sales vehicles have been multiplied by ten since the last time I was here (! ), you can still see a lot of people not owing a car and a lot of them take the taxi. There is a well-oiled (?) process at play here: when locals see a free taxi they run towards it as if their lives depended on it regardless of how many other people were there before them, waiting for one. 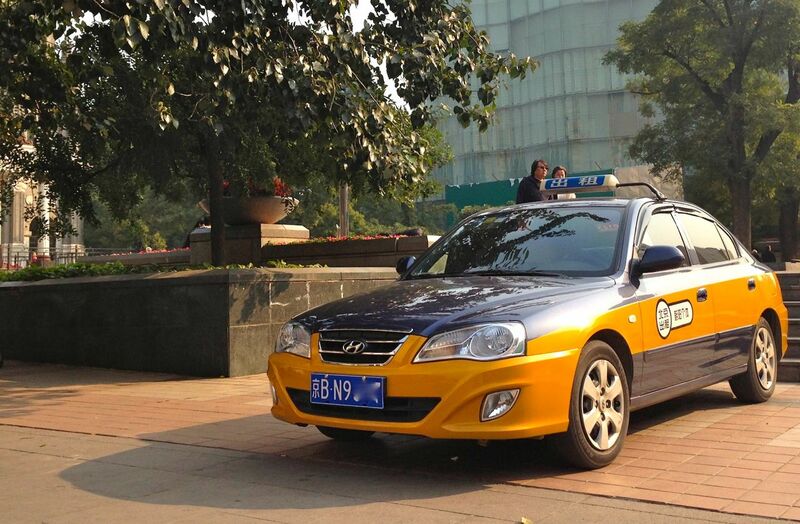 This leaves tourists like me a little befuddled, especially when 10 people have jumped ahead of me, leaving me still taxi-less after 45 minutes… Anyhow, most taxis in Beijing are the locally (as in Beijing) produced Hyundai Elantra from two generations ago. 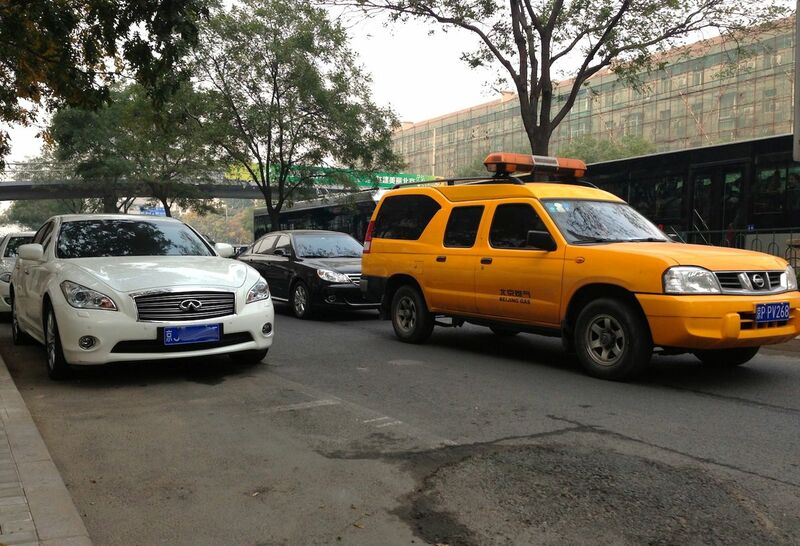 Beijing Taxi fleets continue to buy the Hyundai Elantra from two generations ago. 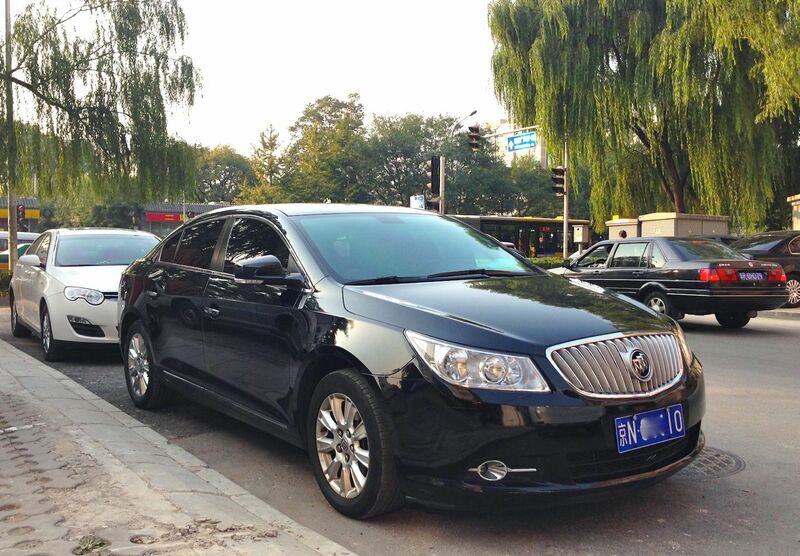 Second very striking element of the Beijing car park: the huge success of Buick. It is indeed very startling to see so many Buicks in the streets of any country, let alone the biggest car market in the world, as the brand is virtually absent anywhere else except the States where it is much less successful than China. Seeing that many here prompted me to think that in a not-too-distant future the Buick brand could well only exist in China… Two models are omnipresent in the capital: the new generation GL8, absolutely and positively everywhere which is a big surprise given its relatively modest ranking in the national sales charts (#70 in September including sales of the old gen), and the LaCrosse here again way more frequent than its national ranking would let you believe (#46 in September). 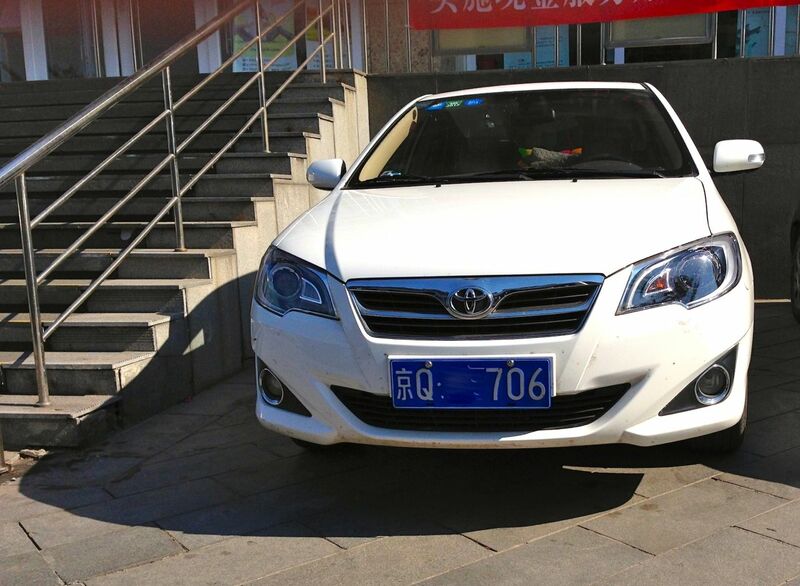 The Beijing Auto E-Series is very popular in.. well Beijing. 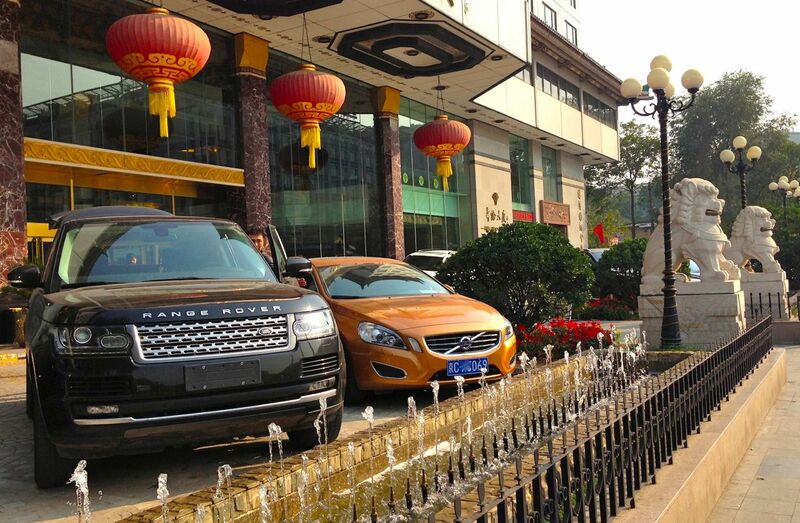 Travelling to Beijing was also the opportunity to try and spot the particularities of the car park in the region, given no detailed sales data by province let alone city is available yet for China. 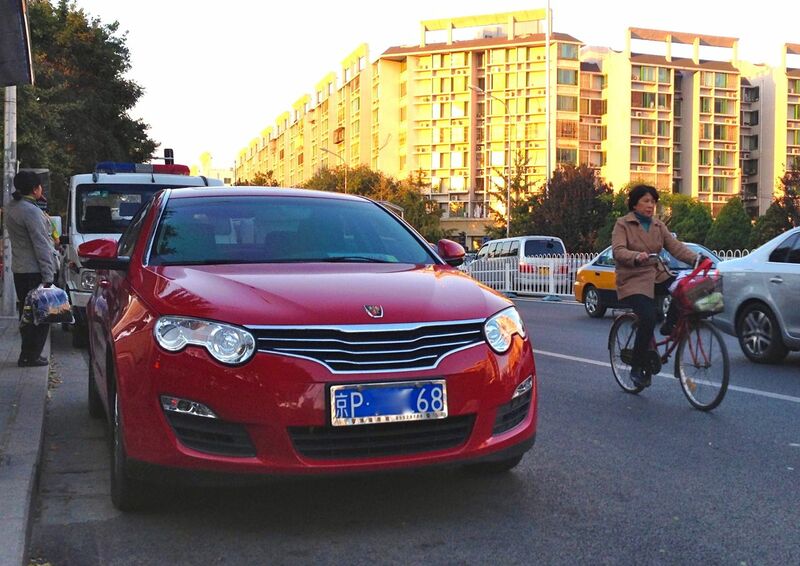 I had anticipated that carmakers based in Beijing would get the favours of consumers. When meeting with Tycho de Feijter, founder of the site Car News China, I learnt that nothing was further from the truth. However cars produced in other provinces end up being more expensive in Beijing as their price takes into account a tax charged when entering a new province. As a result Beijing-produced cars do tend to be more successful in Beijing, but for price reasons, not emotional ones… This trend is best illustrated by the very high amount of Beijing Auto E-Series and Sedona I spotted in the capital city, at odds with their still discreet national rankings (respectively #81 and #201 in September). Other models I was surprised to see very often in Beijing include the Nissan Sunny, Roewe 550 and VW Bora, but reversely I saw very few Ford Focus, a very different picture that the one painted by the 2013 national sales charts. Sales figures for LCVs are also patchy for China, and I was glad to be able to observe that market with my own eyes. 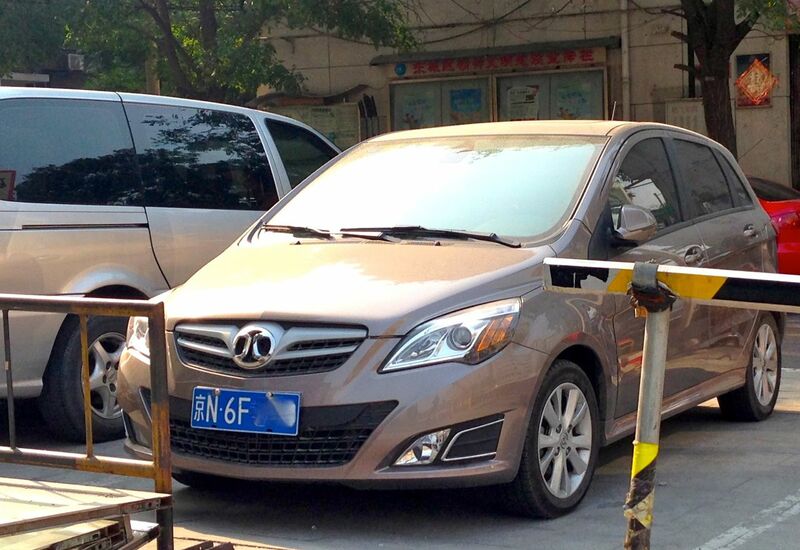 The Jinbei Granse is extremely successful, potentially in the Top 3 or 5 overall in Beijing, with its twin the Foton View also very popular. Minivans like the Wuling Sunshine are relatively rare in cities as Tycho explained to me, but a short trip to the Great Wall of China in Badaling confirmed the situation changes as soon as you leave the big metropolis (a dedicated Photo Report on the Great Wall will be uploaded shortly). The Toyota Alphard was another surprise success in Beijing, to such an extent that Toyota is reportedly thinking of kick starting local production for this model. A few Jaguar XF caught my eye, as well as solid numbers of Renault Koleos (in any case more than in Paris! ), whereas Infiniti and Acura are still a little discreet for now.